I can map the Volume Control keys in Keyboard Shortcuts e.g. Volume up/down to Volume up/down, but when I press the Volume keys on the keyboard nothing happens. I have noticed the same problem with other keys on my Logitech Internet 350 keyboard with Tools, Mail, and HomePage. They can all be mapped with Keyboard Shortcuts, but nothing happens afterwards when the keyboard key is pressed. 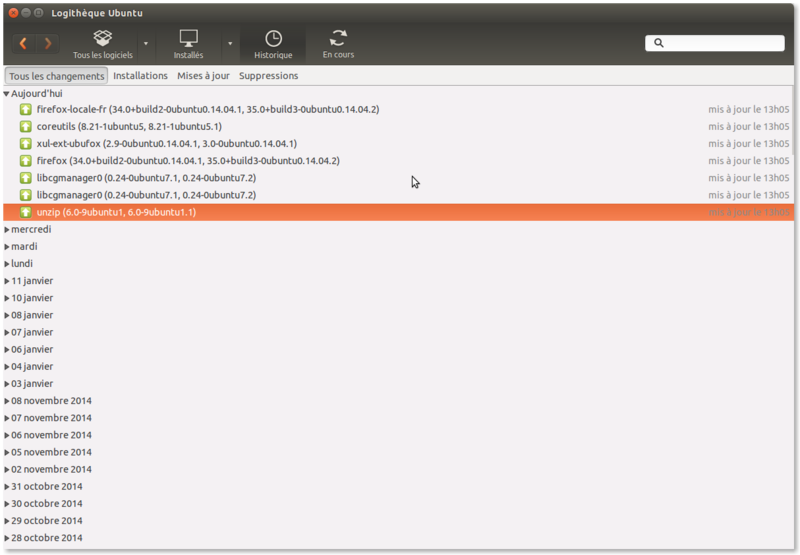 All these keyboard settings worked fine in older versions of Ubuntu. This bug affects me as well. Neither volume combination on laptop (FN+PgUp/Down) nor media keys and launcher keys on usb keyboard work. Other shortcuts sutch as Super+W and open terminal (Ctrl+Alt+T) work just fine. The new value misses the "XF86" part of the string, and does not work. It cab be also fixed with GUI dconf-editor by editing or setting default values in "org.gnome.settings-daemon.plugins.media-keys"
After reboot everything worked. Hope this helps! Ubuntu 14.04 fresh install here and same problem. Daniel's solution works like a charm. After reboot you can volume down with media previous button. P.S. you can set in GUI settings need short-key, then from gsettings add XF86 prefix . My media Previous and Next keys stopped working, although they were assigned on System Settings >> ketboard >> shortcuts. I can confirm this in latest 14.04.1 - changing media keys associations in keyboard shortcut settings puts incomplete strings in org.gnome.settings-daemon.plugins.media-keys. I also confirm this in version 14.04.1. The editor assigns incorrect names for the media keys, missing the "XF86" prefix. Is this the same as https://bugs.launchpad.net/ubuntu/+source/gnome-settings-daemon/+bug/1248368 or not? My volume keys were working until a few MINUTES AGO (last reboot). Its "XF86AudioRaiseVolume" in the output above. Then run dconf-editor and try to put this in appropriate place (they are described here http://askubuntu.com/questions/26056/where-are-gnome-keyboard-shortcuts-stored ). I think the linked branch will fix this problem. Tried dconf-editor GUI as Andriy Petruk (#8). Worked fine. Toggle screen on/off (fn-F7) works fine. I couldn't find any about these keys in dconf-editor (like XF86BrightnessDn or whatever). Is there a way to correctly configure the keys just as for the volume keys ? Can this be backported to Trusty as well, please? Sure, we will work on getting this in a Trusty SRU. Marco Russo's solution from comment #9 did the trick on my 14.04 Gnome Classic system. Thank you! Is there something special you need to do after these "solutions". Because I did the gsettings thing to no avail. I tried the gnome3 thing and again, nothing changed. Do I need to logout and back in? Do I need to reboot? A while ago something got flaky with X so I decided I should logout and back in. But I couldn't log back in so I had to reboot. When I finally got back in their were no sound icon, media keys didn't work. No notifications menu. Emerald wouldn't start, etc. etc. I finally got back up relatively normal but I can't get this media keys to work and I'm quite used to them. I'm afraid to even logout and back in let along reboot because who knows what kinda state I'm gonna come up in! I just have had that bug, with volume up and down keys no longer working after changing some shortcuts through "system parameters → keyboard → shortcuts tab"
…but this time the sgettings commands had no effects to fix it. Attached is screenshits of today's updates if any relevant ? The package in trusty-proposed doesn't solve the problem as described by Daniel Serpell in comment #4. After assigning the audio raise volume button as a shortcut in unity-control-center, the dconf key is set to 'AudioRaiseVolume' rather than 'XF86AudioRaiseVolume'. > 'AudioRaiseVolume' rather than 'XF86AudioRaiseVolume'. The fix is to make unity work when the key has this value. How does unity work around gnome-settings-daemon dropping support for media keys? Does unity handle these keys itself now? or has that change not hit Ubuntu yet? but the volume up doesn't work. Nor volume down, pause, next, prev or play/pause. It's really annoying as those keys were handy. Running xev and depressing volume up says the right thing "XF86AudioRaiseVolume" but it's as if the driver doesn't care that that key was pressed. This keeps up I'll have to just go to some other distro. I have Unity 7.2.4 and this doesn't fix anything for me. Keys still don't work. GNOME has tied hotkey support into gnome-shell, such that hotkeys no longer work without gnome-shell in any gnome-derivative desktops (like Unity). Rather than add the whole PPA, it's probably a better idea to download the one package and install it with dpkg. Updated from 14.04 to 14.10 today, and the keys on my wired mini-Apple keyboard stopped working. Non of the solutions in this thread work for me (and the PPA mentioned in #38 isn't available for 14.10). The bug still exists for us in 14.04 with Unity 7.2.6. We have a lot of users (>10000) and this problem gets reported to us daily. I don't know a way to reproduce this, but sporadically media keys, Fn shortcuts (the systems are Lenovo T450s/T550 notebooks) and print screen stops working. The keycodes in xev look right, and the users can still configure shortcuts, as in the corresponding GUI the shortcuts/meadia keys/etc. get recognized correctly, but still don't work afterwards. I cannot verify that code is functional as I am unwilling to install Unity. You can probably get away with installing the Saucy version of the package (download it from the lauchpad page, install with dpkg or gdebi); but I can't gurantee it will solve the problem permanently.